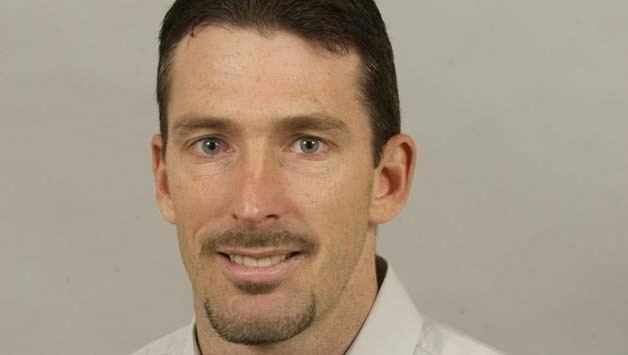 Damien William Fleming (born 24 April 1970) is a former Australian cricketer who played for the Australian national team and domestic cricket for Victoria. He played in 20 Tests and 88 ODIs from 1994 to 2001 and was an important part of the all-conquering Australian teams under Steve Waugh and Mark Taylor. In recent years Fleming has spent time refining his theory of Bowlology, a set of scientific coaching principles to help developing bowlers. Injury problems shortened his career, with the side on bowling action that generated his swing also putting more strain on his body. 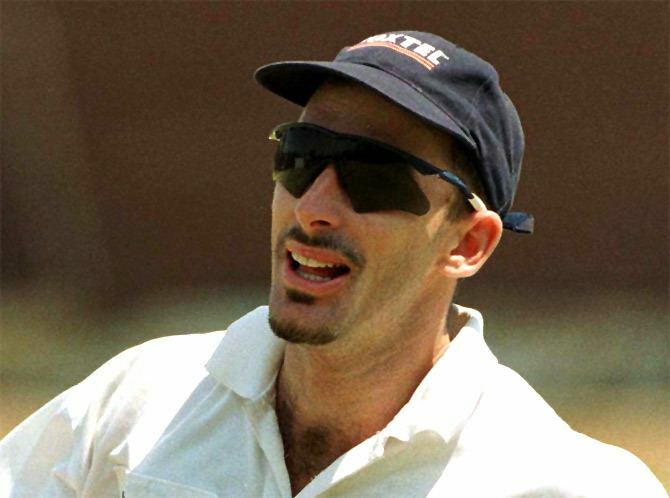 Fleming's 20 Tests between 1994–95 and 2000-01 returned 75 wickets at an average of 25.89 with best figures of 5/30. He is one of only three men (along with Maurice Allom and Peter Petherick) to have taken a hat-trick on Test debut. 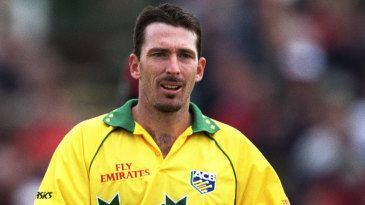 Fleming’s hat-trick was taken against Pakistan at Rawalpindi where he claimed Australia’s nemesis Salim Malik in the second innings as his third wicket. 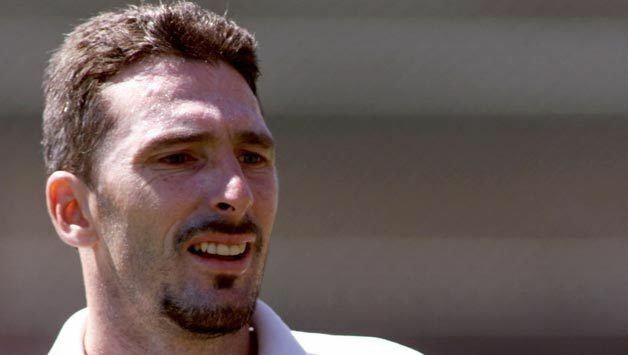 His Test match record is impressive, with the 1999-2000 season Fleming's finest hour: he claimed 31 wickets in six Tests against Pakistan and India. His career best figures of 5/31 came against India at Adelaide in December 1999, where if not for Shane Warne spilling up a simple slips catch, Fleming would have claimed a second hat-trick. 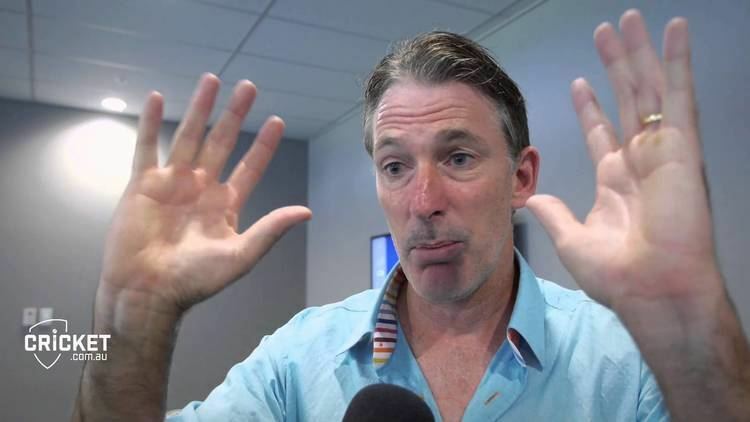 Fleming's ODI record is equally impressive, representing his country 88 times including two World Cup finals and taking 134 wickets at an average of 25.38. He was seen by many to be a one-day specialist, especially in the latter overs when his fine economy rate kept runs down. 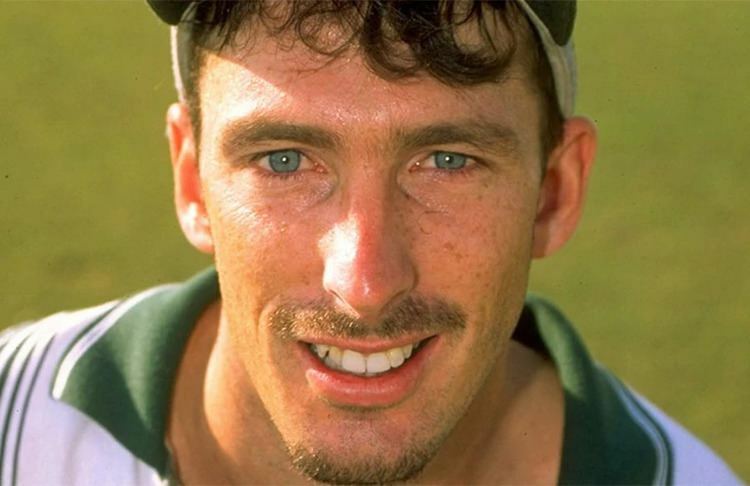 Fleming was the last-over specialist in both the 1996 and 1999 World Cup Semi-Finals. In 1996 at Mohali with the West Indies needing six runs to win off five balls, Fleming bowled Courtney Walsh for victory. In 1999 at Edgbaston, with South Africa requiring one run with four balls remaining, it took a Lance Klusener brain-fade to send Australia into the final. He played 78 First Class Matches for Victoria taking 258 wickets. He took 6/37 on First Class debut vs Western Australia in 1989/90. Fleming was named in the South Melbourne Cricket Club’s team of the 20th century, alongside such greats as Bill Woodfull, Keith Miller and Clarrie Grimmett. Following his retirement from all cricket in 2003 he was appointed head coach at the Australian Cricket Academy. It was around this time that the beginnings of Bowlology theory began to take shape. Like many of his counterparts, Fleming became a cricket commentator for both internationals and domestic Sheffield Shield matches. 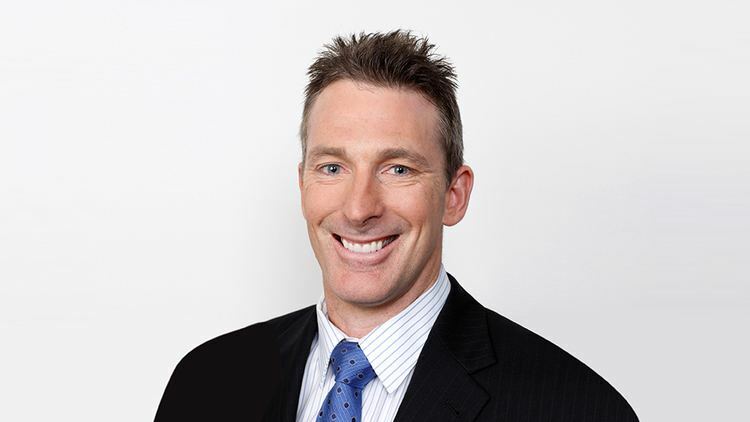 He has been heard on Melbourne’s Triple M and SEN 1116 radio, and is a specialist cricket commentator for ABC Radio Grandstand, Channel Ten and Fox Sports. 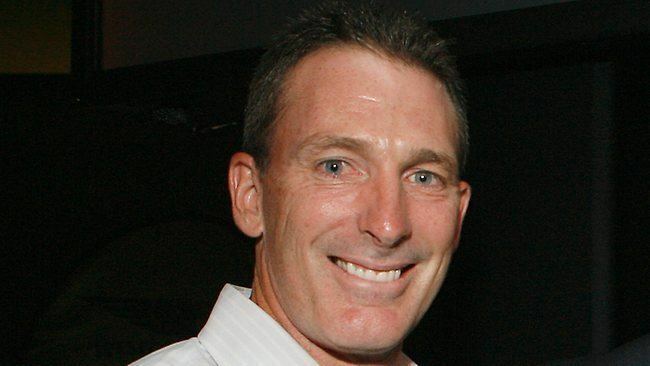 Fleming, a keen Hawthorn fan, appeared on Before the Bounce in 2009 with Jason Dunstall and Danny Frawley, a weekly Australian football program broadcast on Foxtel, before becoming a regular on the show's successor After the Bounce. Recognising his capacity for unique sporting insights (developed through deep contemplation of Bowlology theory) the show's producers gave Fleming a role akin to 'editor at large' in his segment Turn It Up. In this widely acclaimed segment, Fleming cast a critical eye over the AFL and society in general, raising the taboo and confronting issues that others often feared to raise. He also ran a part of the show featuring a broken chocolate wheel. Although now semi-retired from his role on After The Bounce, his Turn It Up segment has become a mainstay of the show's format, having been bequeathed to Andrew 'Gazey' Gaze upon Flem's departure. The chocolate wheel was never seen again. 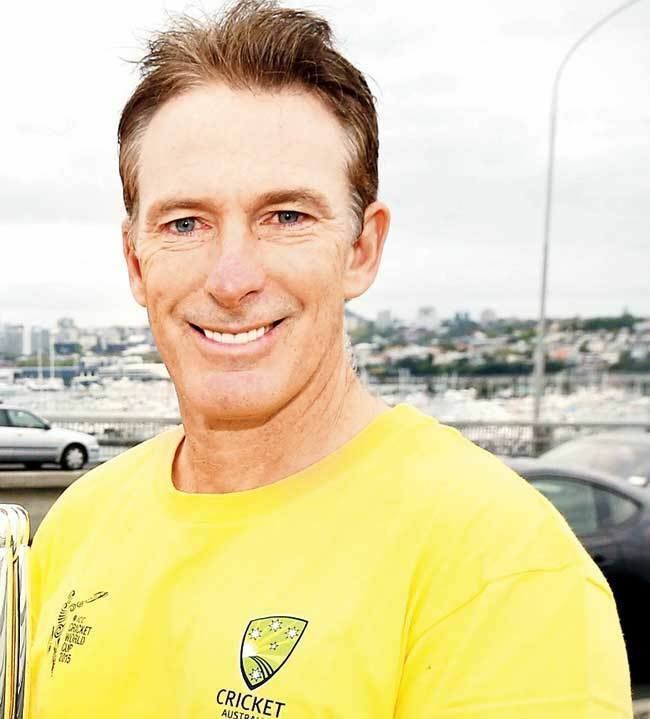 Fleming began to make regular appearances during the fourth season (2009) of Thank God You're Here where he parodied the prevalence of sportsperson’s (notably cricketers) endorsing anything in the Australian media. Today, Fleming is a popular figure on the public speaking circuit.